In 2010, Singapore filmmaker Mohammed Yahssir (pictured above on the right) won Project PDA(check out our interview with him in 2010), almost a filmmaker's version of The Apprentice. PDA stands for a Project Pitching and Development with Ashok. Of course, for an audacious name like, it's got to be no ordinary Ashok, its Ashok Armitraj, a legendary Hollywood film producer. So Yahssir had a chance to work in Hollywood and we caught up with him two years hence to get a whiff of the Hollywood wind. What is Hollywood anyway? What defines the Hollywood industry? We chat with Yahssir about his experience as well as a recent short film he has made during his stint called 'Lost in Paradise'. Quote from 'Lost in Paradise': 'One in a million. You see the one, you forget the million.' Where did you get this saying from? It's a lovely quote. This quote is something I came up with myself. When I was making my short films here in Singapore, I have personally felt the struggles one has to go through in order to succeed – as with the other aspiring directors in Singapore. But when I went to Los Angeles, everywhere I went, I saw so many more hopeful people relentlessly trying ways and means to break into Hollywood. The stark reality however, was that only a privileged few managed to make an impression and actually get into the industry. 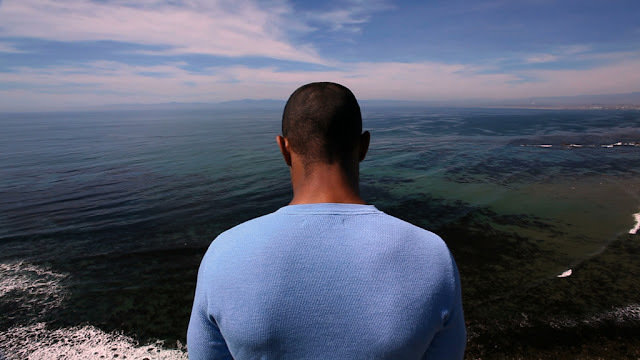 The idea for my short film stemmed from that observation and my own life experiences. While in discussion with the industry mates I met there, this quote just struck me. How long did you spend in Hollywood? My stint in Hollywood spanned about 3 months. What is Hollywood anyway? I mean, how do you define the boundaries of this industry? If I make a movie in New York, is it Hollywood? It is not so much about the actually geographical location that the film is made in. It is more about where the producers of the film hail from. The part of the American motion picture industry which is based in Los Angeles, California and has a track record and penchant for making big films – especially the fraternity which makes films with intent of commercial release flaunting mainstream producers, directors, cast, crew and technicians – is what they refer to as Hollywood. There is a saying 'small fish in a big pond', what struck you about working there that gave you the 'big pond' feeling? Everywhere you turn, you see people trying to make it big in Hollywood. They take on jobs as waiters, riders, cashiers, entertainers and simultaneously attend auditions, produce show reels and are waiting for a chance at one production house or the other. The sheer number of avenues for budding talents to showcase their work is vast and the opportunities are abundant and coming from the relatively smaller media industry in Singapore, one can’t help but feel overwhelmed and outnumbered. Can you share some of the more bittersweet moments of working in Hollywood? What were the painful moments? I really did not expect to win and winning it came as a shock to me. Getting the opportunity to work there itself was a bittersweet experience for me because on one hand, I had the opportunity of a lifetime staring at me in the eye and on the other hand, I have never left my comfort zone which is Singapore or been away from my family. When I got to Hollywood however, there wasn’t any regrettable moment because everyone there was very welcoming and more than willing to share their experience and expertise with me. It was an eye-opening, learning journey. Being away from my family and fiancée was perhaps the only painful part of the trip. Watching 'Lost in Paradise', the polished look, the crisp after-effects and the tightly-written script bear trademarks of a more established industry. When you set out to make 'Lost in Paradise', what did you tell yourself about how different you wanted this film to be from your previous works? So far, all my short films have been strung together by a common theme of hope and I wanted that tradition to continue. But being in Hollywood where the big films are made, I decided to seize the chance to inject the crisp outlook of classic Hollywood films into "Lost in Paradise". With each short film, I endeavour to produce a professional product with enhanced scripting and a more polished finish. I hope that "Lost in Paradise" managed to achieve that. How was it like working with a cast and crew totally unfamiliar to you? It was definitely a new experience, but it was not a difficult one. For the actors, I had advertised on a website - that I could only provide 3 meals and yet there were so many applications. I was taken by surprise and was very heartened by the response. The crew was made up of many different people who came together just for the sake of passion and nothing else. To name a few they would be Kevin 'O' Connor, lead colorist with Deluxe Digital Media and Robert Dehn, Sound Studio Manager with Sonic Magic Studios. It was very encouraging because they did not have any expectations and they were ready to share their experience willingly with me. This is the spirit which binds the industry folks, I guess – true passion for the craft. This is one fun yet fulfilling experience which I will hold close to my heart. Lastly, give us 5 lessons that you take away from working in Hollywood. something I hope to do in due time. 2. Even if you have the best of everything in Hollywood, let it be in terms of cast, the production and post-production team, ultimately it is the script which is most important. 3. The importance of creating a publicity campaign for a film. 4. The strategy for commercially distributing a film. 5. Story is always king. 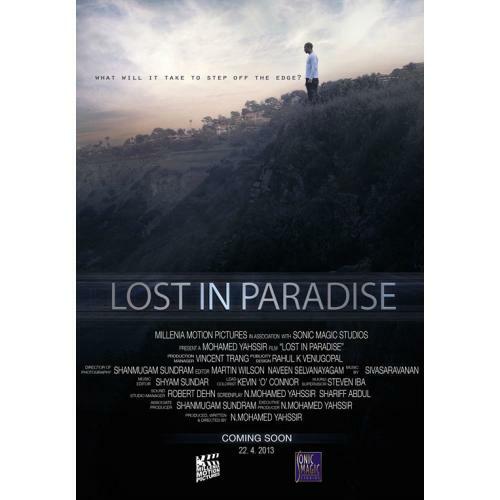 Lost In Paradise Trailer from Millenia Motion Pictures Pte Ltd on Vimeo.